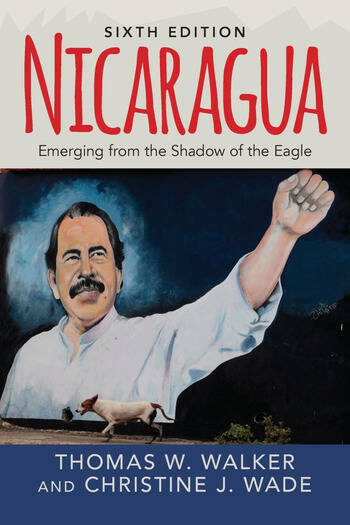 Nicaragua: Emerging from the Shadow of the Eagle details the country's unique history, culture, economics, politics, and foreign relations. Its historical coverage considers Nicaragua from pre-Columbian and colonial times as well as during the nationalist liberal era, the U.S. Marine occupation, the Somoza dictatorship, the Sandinista revolution and government, the conservative restoration after 1990, and consolidation of the FSLN's power since the return of Daniel Ortega to the presidency in 2006. The thoroughly revised and updated sixth edition features new material covering political, economic, and social developments since 2011. This includes expanded discussions on economic diversification, women and gender, and social programs. Students of Latin American politics and history will learn the how the interventions by the United States 'the eagle' to 'the north' have shaped Nicaraguan political, economic, and cultural life, but also the extent to which Nicaragua is increasingly emerging from the eagle's shadow.